Vi Stagebox Options - Akwil Ltd.
Vi Stagebox Options There are 12 products. Single-mode MADI card. Provdes MADI functionality on two duplex industry standard SC connectors, allowing redundant cabling with automatic switchover. Connection distances of up to 10km are possible. Compatible with Vi Stagebox only. The Mic In card provides 8 channels of classic Soundcraft mic preamps with 10-65dB gain range, switchable 20dB PAD, 80 Hz high-pass filter and 48V phantom power with indicator LED. A transformer balanced version is available to special order (ViSB-MLTX). Compatible with Vi Stagebox only. 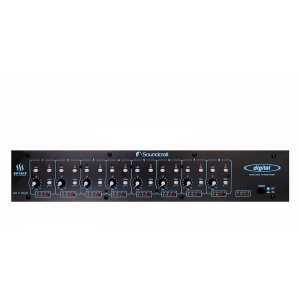 Provides 8 channels of classic Soundcraft transformer-balanced mic preamps with 10-65dB gain range, switchable 20dB PAD, 80 Hz high-pass filter and 48V phantom power with indicator LED. Compatible with Vi Stagebox only. Compatible with Vi Stagebox only. 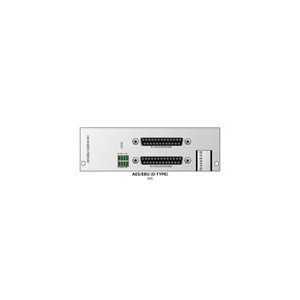 The CobraNet card allows up to 32 channels of input or output signals (or a combination of both) to be received by or sent from console onto a CobraNet network. The card must be used as the Conductor for the network. By default, the card is configured for 32 outputs. Compatible with Vi Stagebox. 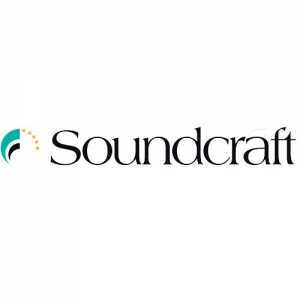 "The Soundcraft A-NET 16V card provides direct digital connection on a single Cat5e cable from the Aux or Group outputs into an Aviom A-NET Pro16TM Series Personal Mixer (compatible with A-16II and A360). For general-purpose switching applications requiring total electrical isolation, this card provides 16 electrically isolated opto-coupler inputs with integrated current sink and 16 electrically isolated outputs using SBST relay contacts. 5V DC supply pins are available. Inputs and outputs on standard 37-pin D-type connectors (female).